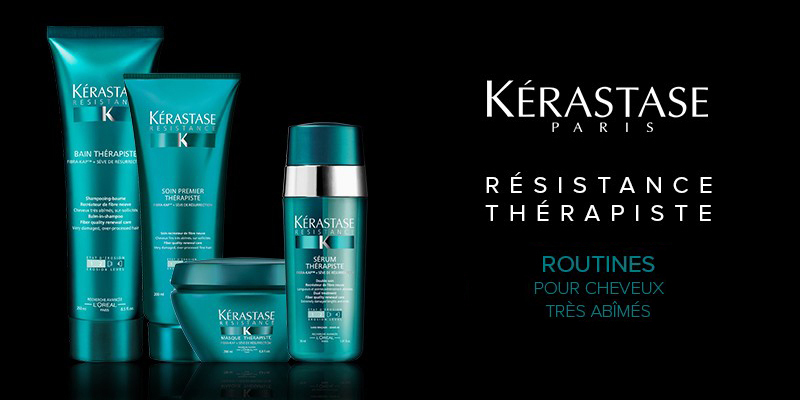 Kérastase Force architecte is dedicated for damaged hair (erosion level 1-2), while Kérastase Thérapiste (erosion level 3-4) is designed for very damaged and over-processed hair. Hair is restored and the quality of the fiber is like new. A cleanse, treat and texturize with carefully-conceived methods for beautifying the hair. rebuilds the internal substance of hair weakened by chemical or mechanical agressions to restore its strength and solidity.